A few things that I have pursued with passion, and perhaps an element of grit. Well, of course, this was my first passion, and for many years in my life I pursued my musical life with some grit. Although music is no longer my primary focus, I like to think that the passion remains. I play the clarinet. Currently I am a member of the Wellington Winds, one of Canada’s premier wind ensembles. I have been a member of this ensemble since 1991. 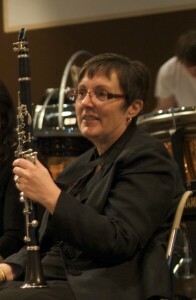 The Wellington Winds is directed by Daniel Warren. I also serve on the Winds’ Board of Directors. From time to time I have the opportunity to perform with other ensembles in the Kitchener-Waterloo area. Please visit our Wellington Winds YouTube channel! 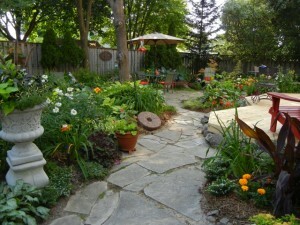 I am a bit obsessed with my garden, and it provides me with some degree of solace when the rest of the world seems a bit crazy. The gardening bug is deeply rooted in my family, it seems. 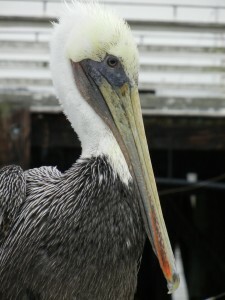 Brown pelican photographed in Monterey, CA. Collateral benefit of attending Internet 2011 conference! I don’t spend as much time as I would like out in the field, but birding remains a strong interest. Working on the life list is a collateral benefit of wonderful days on the trail, at the seaside, or the other places where nature displays her finest. I seem to have many interests – these are just a few. Photography, genealogy, travel – I have many ways to stay engaged in learning! My uncle used to say that while our family members might be boring, we would never be bored! Hoping that I am neither.